An early Abstract Expressionist, Pat Passlof was immersed in the evolution of the movement that has been acclaimed America’s first independent style. Like her better known male counterparts, Passlof filled her paintings with energy and rendered them with vibrant brushwork. Passloff was born in Brunswick, Georgia, but grew up in New York City. She later dropped the final “f” at the end of her surname to shorten it for her signature on canvases. 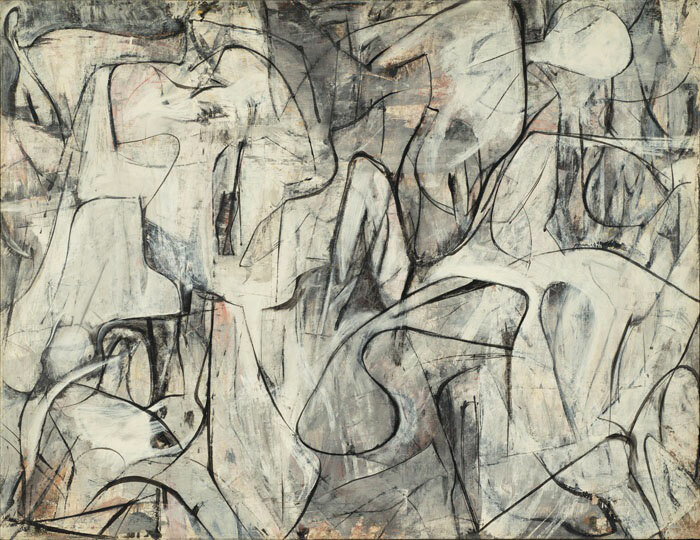 After classes at Queens College, New York, she pursued studies with Willem de Kooning during the 1948 summer session at Black Mountain College in North Carolina. Other instructors there included Buckminster Fuller, Merce Cunningham, and Josef Albers. Her relationship with Albers disintegrated when he tore up Elaine de Kooning’s homework in front of the class; in response, Passlof abruptly left the room and never returned. She continued to study privately with Willem de Kooning in New York and became his studio assistant. She received her BFA from the Cranbrook Academy of Art in Bloomfield Hills, Michigan. In 1948, de Kooning introduced Passlof to Ukrainian immigrant and fellow Abstract Expressionist Milton Resnick. The couple began to live together in the mid-1950s, were married in 1962, but separated in the 1970s. She once explained that there had been three of them in the marriage: Milton, herself, and art, which often got in the way. Nevertheless, she was devoted to the promotion of his art and, in her will, established the Milton Resnick and Patricia Passlof Foundation. The philanthropic organization seeks to foster the preservation and exhibition of the two artists’ work and that of other Abstract Expressionist painters. From 1972 until 2010, Passlof taught on Staten Island at what is now known as the College of Staten Island. She was highly regarded for her generosity to her students and colleagues as well as for her rigorous professionalism. She was also active in the feminist movement. Only twenty when she attended Black Mountain College, Passlof readily embraced abstraction. Rich surface textures and patterns, and organic shapes defined by thin lines typify her early paintings; many of these resemble similar work by both Elaine and Willem de Kooning, as well as Resnick, who all employed enamel paint. Like the other Abstract Expressionists, gesture was important to Passlof, but overall she was less emotive than de Kooning or Jackson Pollock. Her late work is characterized by grids painted in soft colors and an exploration of the figure beginning about 1984.